We are always looking for ways to sustain the U.S. warm water shrimp population. No one has more at stake than our local shrimpers and shrimp processors, as their livelihood depends on the annual harvest. The annual shrimp harvest has been relatively stable since the early 1950s, in spite of significant changes throughout the shrimp industry. Still, long term sustainability remains our goal and our industry has adopted certain standards to help us in this effort. Wild American Shrimp are monitored and regulated under NOAA’s Standard Guidelines—ten principles that ensure fishing occurring in US waters is sustainable. G.U.L.F. 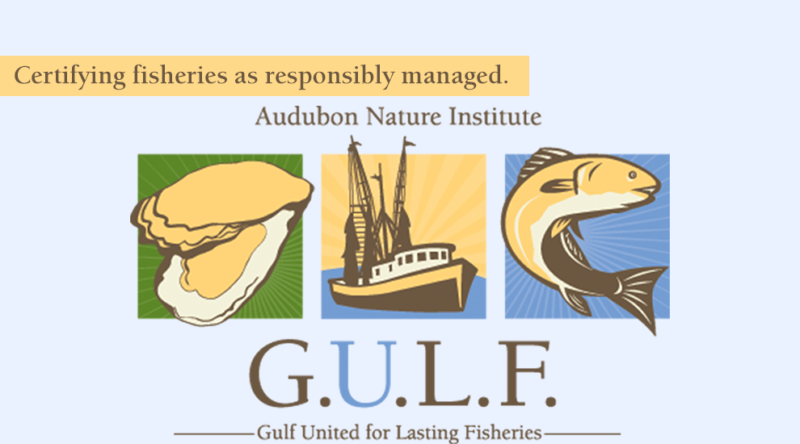 is the sustainable seafood program of Audubon Nature Institute. G.U.L.F. is dedicated to working with the commercial fishing industry in the Gulf of Mexico to meet buyer demands for sustainability. 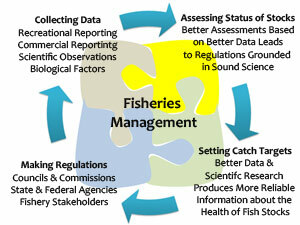 Fishery Improvement Projects (FIPs) are one tool to verify sustainability. Unlike sustainability certification, FIPs offer a step-wise approach to advance a fishery if certification is not currently an option. Work within a FIP is determined by the same standards as outlined in some certifications. Many of our ASPA member processors are active participants in FIPs. Currently, G.U.L.F. coordinates four shrimp projects: Texas, Louisiana, Mississippi, and Alabama. While each project is a little different, a common theme is coordinating gear checks for turtle excluder devices (TEDs) and bycatch reduction devices (BRDs). Through collaboration with Texas Sea Grant and NOAA’s Gear Monitoring Team, we help schedule courtesy gear checks on the dock that can catch issues that could result in catching a sea turtle, or in severe fines by enforcement. In many cases, TED non-compliance is unintentional and minor. By working with these gear specialists, the captains and crew have a chance to address issues before a fishing trip begins, fixing any non-compliance found by the specialists immediately. In the last nine months, over 30 otter trawl vessels involved with G.U.L.F.’s projects have been checked. Currently, skimmer trawls (another type of gear used to fish for shrimp in Louisiana, Mississippi and Alabama), are not required to pull TEDs. However, a new rule is currently under review by NOAA that will require TEDs in skimmers. As part of a grant awarded by National Fish and Wildlife Foundation, G.U.L.F. teamed up with NOAA, Sea Grant, and industry associations to hold educational workshops for fishermen. At these workshops, NOAA’s GMT brought an example of the TED being proposed, which is a different size than the TEDs required in otter trawls. Comments were also collected from participants about the rule to be submitted to NOAA’s Office of Protected Resources. The Magnuson-Stevens Fishery Conservation and Management Act of 1976 (reauthorized in 2006) serves as a guide for fishery management plans (FMPs) that focus on sustaining shrimp and keeping our economy strong. 1.Set a goal for how much shrimp can be caught in a year, and if more is caught, have checks in place to stop overfishing so that shrimp populations can bounce back. 2.Give fishers an incentive to only fish a certain amount using “catch shares”—a fisher is guaranteed a percentage of the total catch of shrimp, or is given a special area to fish. It means fewer regulations and more open seasons, and fishers can buy and sell shares like a stock market, ensuring higher prices and a less overall stress on the fishery. 3.Fish and shrimp don’t care about borders; they go where they want, which means it’s important that we work with neighboring countries to make sure we all have responsible management in place. We consider the Magnuson-Stevens Act the standard for sustainability measures in the U.S. Through this legislation, we can continue to provide safer, better quality shrimp for generations to come. Fisheries, whether for commerce or recreation, play an enormous role in the U.S. economy. In 2012, U.S. commercial fishermen landed 9.6 billion pounds of seafood valued at $5.1 billion. Fish processors, icehouses, restaurants, grocery stores, bait and tackle shops, fuel stations and a multitude of other businesses benefit from healthy commercial and recreational fishing. Continuing to maintain high commercial fish landings and values is good news for fishermen, fishing communities and, for the Americans who want sustainable, healthy U.S. seafood. We are seeing that responsible management is helping us “turn the corner” toward more sustainable and profitable commercial fisheries. If it’s harvested in the United States, it is inherently sustainable as a result of the rigorous U.S. management process that ensures fisheries are continuously monitored, improved and sustainable. Stay informed and make sure you’re using the most up-to-date, credible resources. Buy seafood from knowledgeable, reputable dealers. Many retailers and chefs are implementing seafood purchasing policies, making sustainable sourcing a priority. Ask questions about seafood to learn how to identify high quality, sustainable seafood. Where is it from? Does that country manage its fisheries sustainably? Imported seafood can also be safe and sustainable, but it comes from a variety of sources and many not be produced to the same standards as U.S. seafood. In the United States, our standard is sustainability. Fishery management involves regulating when, where, how and how much fishermen can catch to ensure that they will be able to fish now and for generations to come. Fish and shellfish are renewable resources – they can reproduce and replenish their populations naturally. Because of this, we can sustainably harvest fish within certain limits on a continuing basis without depleting the resource. Put simply, fishery management is the process of using science to determine these limits – some fish are caught while some are left to reproduce and replace the fish that are caught. Population Counts: It’s often said that “counting fish is like counting trees, except trees don’t move and you can see them.” Good fishery management starts with accurate scientific information about fish and fisheries, which means that fishery scientists spend a lot of time counting fish populations. Using many different samples and biological models, they estimate how many fish are in the water. Working with fishermen, universities and other partners, fishery scientists are constantly looking for new ways to make the science of counting more precise. Scientists also research the biology of fish species – what they eat, how they reproduce and how quickly they grow – as well as the ecosystems in which they live – their habitat, other marine species that share that habitat and environmental conditions. Background Info: Fisheries scientists also research the history of fisheries, including how many fish have been caught in the past, who was fishing, and what kind of living fishers made. They keep track of current amount of fishing by putting observers on commercial fishing and processing vessels to collect data on what and how much they catch. All of this is done in an effort to provide the best scientific advice to fishery managers so they can make sound decisions about the sustainable operations of fisheries. The Fish: Fishery managers compile all the scientific data and use it to set standards and guidelines for the operation of fisheries, which are laid out in Fisheries Management Plans (FMPs). FMPs usually place limits on the amount of fish that can be harvested, the amount of fishermen that can participate in a fishery, and where, when and how fish can be caught. These limits are based on levels determined by scientists to ensure that fish are not being caught too quickly (overfishing) and that enough fish are left in the ocean to reproduce and keep the population and ecosystem healthy. Scientists monitor fisheries and fish populations to make sure overfishing is not taking place and that populations are not overfished. If one or both of these things occur, managers amend the fishery management plans with new regulations to bring the rate of fishing and/or the population back to sustainable levels. Other Species and Habitat: Managers may also put additional measures in place to address other issues such as a fishery’s potential impacts on habitat or other species, the safety of fishermen and marketability of the catch. They might limit the type of fishing gear used, the location of the fishery or the time of year the fishery can take place, or even implement innovative approaches like catch share programs. Shrimpers, for instance, use turtle exclusion devices, and fish excluders are growing in popularity. New trawls have also been designed to reduce damage to the sea floor. These measures support the goals of sustaining fish populations, protecting habitat and other species, and keeping fishermen working. Reaching these goals is not easy. Managers must make tough, sometimes unpopular decisions about fisheries as they attempt to balance the needs of the environment and the people that depend on the environment for a living. Watching Out: While scientists provide the research and managers set regulations, sustainably managing our nation’s fisheries would be impossible without someone to follow through on his or her hard work and enforce the rules. Fortunately, most commercial and recreational fishermen comply with fishery regulations – when fishermen follow the rules, everybody wins: the fish, the fishermen and future generations. 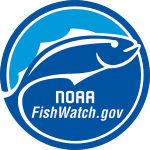 NOAA Fisheries Office of Law Enforcement is there to ensure fair competition and a level playing field for those who obey the rules. Agents and officers work with coastal states and partner with other agencies such as the U.S. Coast Guard to prevent illegal activities such as fishing out of season, fishing in restricted areas and exceeding catch limits. They use traditional enforcement techniques such as patrols and investigations as well as satellite tracking systems and education to get the job done. Their work helps protect fish stocks and other marine species, the livelihoods of people involved in the commercial and recreational fishing industries, and the health of seafood consumers.